A complete list of current members appears here. The Digital Art History Society (DAHS) fosters and supports the practice and publication of art historical scholarship incorporating and benefiting from digital strategies and technologies by providing a forum for presenting and advancing digital art history, examining problems confronting the field, and identifying scholarly needs and opportunities to its members. The William Morris Society in the United States seeks to further appreciation of Morris as a designer, craftsman, medievalist, preservationist, printer, socialist, poet, and author. We also encourage interest in Morris’s friends, associates, and contemporaries in Britain and America who were connected with the Pre-Raphaelites, Victorian art and literature, and the Arts and Crafts movement. 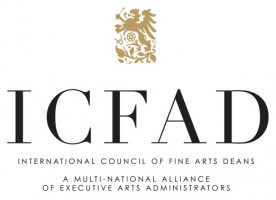 Founded on a shared passion and advocacy for the arts and a commitment to excellence in leadership, the International Council of Fine Arts Deans (ICFAD) is a multinational alliance of executive arts administrators representing institutions of higher education. 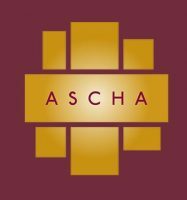 The Association of Scholars of Christianity in the History of Art (ASCHA) is dedicated to the facilitation and promotion of scholarship that examines the historical and contemporary relationship between Christianity and the visual arts. EEIT advances the study of art and the discipline of art history in Greece. The Society is an international not-for-profit organisation, bringing together scholars from diverse disciplines, as well as collectors, museum curators, and those of the general audience who are passionately interested in the study of collecting in all its ramifications, including the relationships between collecting and the art market.